Demonetization has led to a sudden spike in the usage of e-wallets. The RBI (Reserve Bank of India) has further benefitted the digital wallet system. The central banking institution of India has raised the monthly upper limit of Rs. 10,000 for non KYC-verified users up to Rs. 20,000. E-wallet companies like Paytm, FreeCharge, and MobiKwik, are fully utilizing the opportunities to ramp up their revenue. As the name suggests, e-wallets or digital wallets are software based portfolios which store your money digitally. They can be used to make payments to e-commerce websites, restaurants, retail stores and even small scale shops or hawkers. The recent scrapping of old Rs. 500 and Rs. 1000 notes have quickly made them very important to us in India. E-wallets work as well as plastic cash and can act as a savior in serious situations like demonetisation. Today, we will briefly talk about the procedure to use digital wallets and discuss their pros and cons. Using e-wallets is pretty straightforward and requires some decent knowledge about banking and technology. To use a digital wallet, you first need to load some amount of cash from an ATM card, debit card, credit card or internet banking. 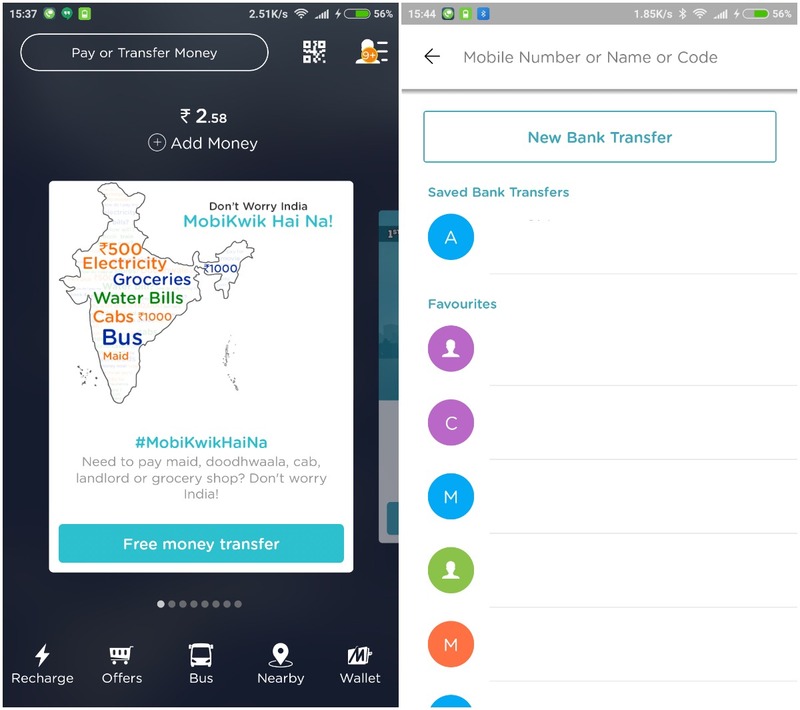 Some like MobiKwik even support cash pickup and self-deposit. This adding of money can be thought like filling up your wallet with notes and coins. After this, you can use the money to pay different merchants ranging from large-scale online marketplaces and restaurants to small shops and pani puri stalls! The payment procedures are usually very simple. You need to send the required amount of cash through your mobile e-wallet app just by entering the receiver’s phone number or scanning a QR code. If you finish all of the added amounts, you may add again and go on spending or keep a check on your expenditure. Almost all of the modern digital wallet companies provide you with the detailed calculations of your monthly expenses. However, according to RBI guidelines, your total transaction through each e-wallet can’t exceed Rs. 10,000 (temporarily increased to Rs. 20,000). In order to get rid of this limit, you need to submit KYC documents like Aadhaar or PAN to the respective digital wallet company. 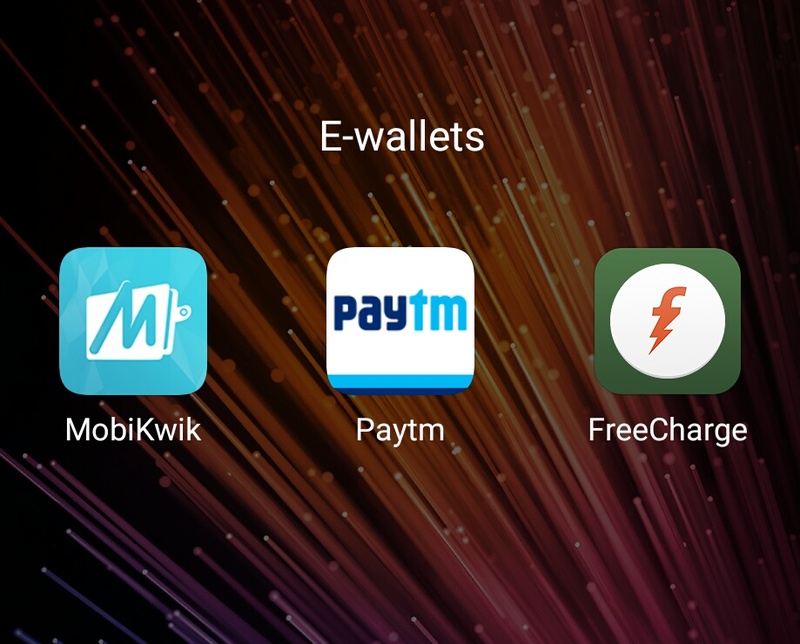 Below, we are mentioning in brief about the features, pros, and cons of three leading e-wallet brands in the country. You may also take this info as a short comparison between them. Paytm is the largest of e-wallet company in India. With its extensive coverage network, it has become a household name. Using it, you can pay for your electricity, metro smart card, water tax, gas, education, financial services, mobile or DTH recharge and so on. 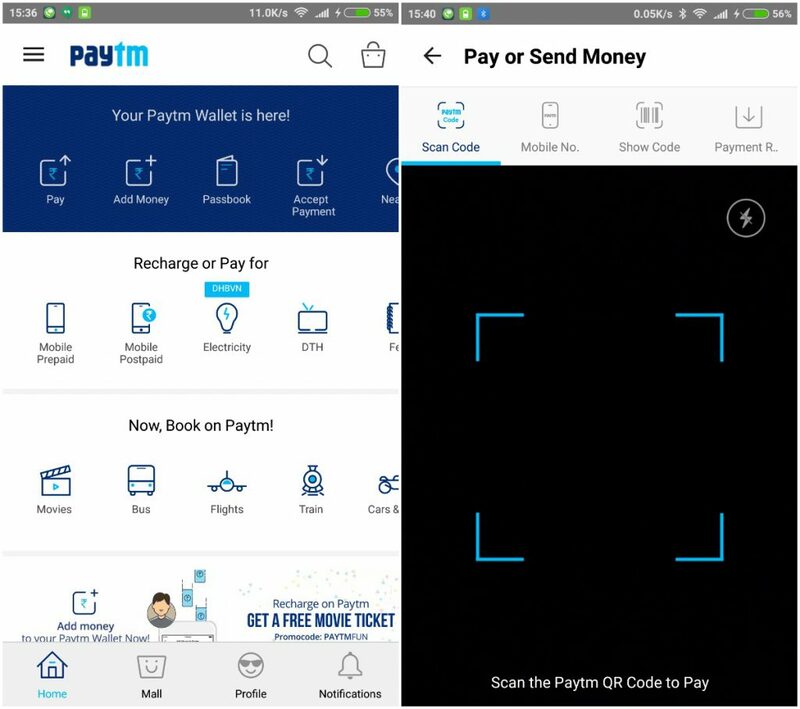 Paytm supports a broad range of traveling facilities like train, plane or bus ticket, and hotel booking. It even has its own movie ticketing portal and e-commerce platform. Paytm consistently offers loads of cashback on its products and services. It is pretty trusted and known to provide services as advertised. Most extensive availability across India. Almost all of the offers in Paytm are cashbacks, which can only be transferred to the bank after paying a fee. Users regularly complain of inferior customer care facility. Freecharge is another high profile player in the field of e-wallets. It started by providing offer coupons worth the same value as any purchase or transaction. Now, the Mumbai-based start-up has matured a lot but still provides a lot of exciting offers and cashback schemes. FreeCharge supports electricity bill payment, metro, gas, and mobile recharge. Recently, it started to provide its own MasterCard enabled debit card to its users. 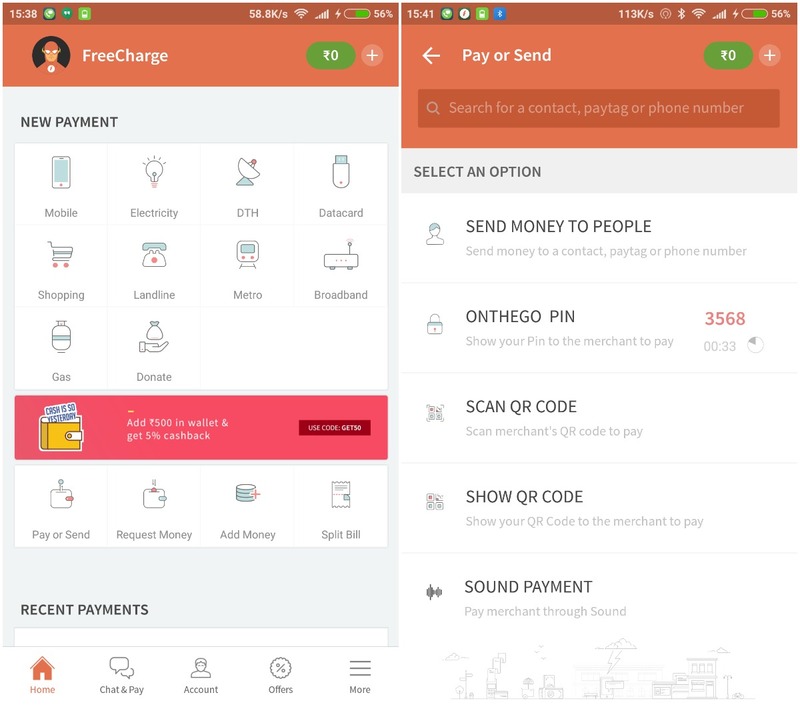 A huge number of merchants ranging from e-commerce websites to online bus or movie ticket booking gateways support FreeCharge. Consistently provides a number of unbelievable offers. Services are pretty quick and snappy. Similar to Paytm, here also you can’t encash your cashback into your bank account for free. Availability outside the internet is very limited. MobiKwik is another distinguished digital wallet service in India. You can use it to pay for electricity, telephone, gas and the usual mobile / DTH recharges. It supports a one-of-a-kind cash pickup facility in selected places. This is mainly intended for users without any debit or credit card or net banking. For the areas it does not offer cash pickup, you can easily drop your money in the nearest ICICI bank, and it will get added instantly to your digital wallet. Lately, MobiKwik also started offering bus ticket booking. Similar to other e-wallet companies, MobiKwik also offers cashback and not discounts. MobiKwik has a limited number of serviceable platforms and areas. With the gradual increase in adoption of UPI (Unified Payment Interface), the future of e-wallets is at stake. UPI not only provides better security to its users but also cheaper to use in the long term. However, the digital wallet companies are not sitting idle. They all are trying to develop their own respective banking chains in order to sustain in the long run.